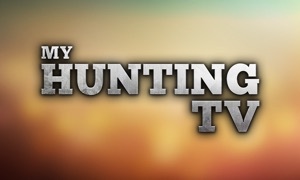 Fishing TV provides the best HD fishing entertainment from around the world and bring it directly to your iPhone or iPad. Our app contains over 1000 TV programs, feature length films, short tips and more covering every kind of fishing out there. The app is Chromecast compabible so you can also cast programs to your TV. The app is free to download and contains both free and premium content. Premium content may be viewed by purchasing credit via an in app purchase or by subscribing to an Annual Pass. Registering with Fishing TV will enable some free credit to trial the service. When registering, you can also choose to receive our newsletters which will keep you updated about new shows, competitions and offers. The Annual Pass fee will be applied to your iTunes account on confirmation and grants you a 12-month full access subscription to Fishing TV. Subscriptions will automatically renew unless cancelled a least 24 hours before the end of the current subscription period. You can manage your subscription and turn off auto-renewal by going to iTunes Account Settings after purchase.